The Alliance of American Football kicked off its inaugural season over the weekend to generally positive reviews and good ratings. We'll see if the latter can last. Football is a behemoth in this country, so it was probably reasonable to expect a good deal of curiosity for the league's opening weekend. The AAF got that. Now, can it sustain it? I watched parts of all four games over the weekend. It's not a new-and-improved version of football, thankfully. There are no wacky changes here. The two most noticeable differences are the lack of extra points after touchdowns (teams have to go for two) and the elimination of kickoffs. Combine those changes with a slightly shorter play clock and you've got a brisk pace to the games. The level of play is pretty high, too. It's not the NFL, as you'd expect, but there are players here who will earn another shot at the top league due to their play in the AAF, a point that was repeatedly driven home during the broadcasts. Four former Huskers played over the weekend. Wide receiver Alonzo Moore had the biggest impact, making three catches on five targets for 78 yards in the San Antonio Commanders' 15-6 win over the San Diego Fleet. That win earned San Antonio coach Mike Riley a Gatorade bath. The three remaining Huskers all played for Salt Lake in the Stallions' 38-22 loss to the Arizona Hotshots. 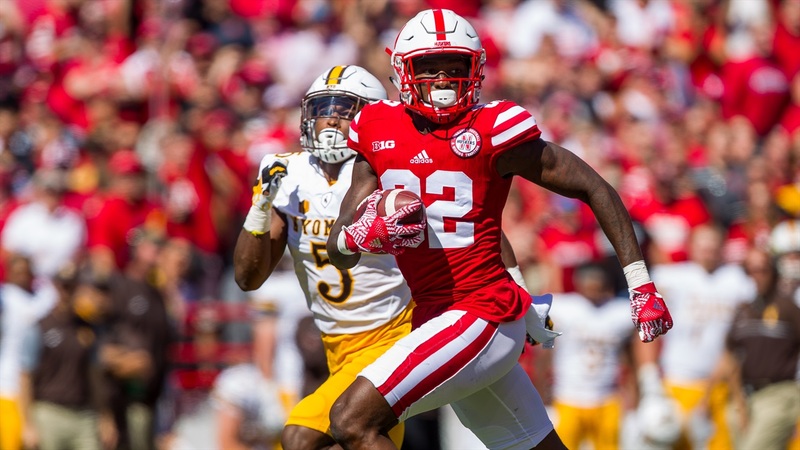 Wide receiver De'Mornay Pierson-El was a starter and saw the ball the most in that game. He had one catch on five targets for 7 yards along with two punt returns for 9 yards. (Also, a fumble lost.) Kenny Bell was also a starter in that game and was targeted three times but didn't come away with a catch. Linebacker Josh Banderas had one tackle and one assisted tackle in the game. Running back Terrell Newby wasn't active for the Stallions' opener. Salt Lake travels to Birmingham on Saturday for its second game. Riley, Moore and the Commanders host Orlando on Sunday. Good read from Derek Peterson on why Nebraska’s 2019 class is a reason for optimism. And here’s a good read from Erin Sorensen on Ryan Bates, a distance runner at Nebraska, and his extraordinary effort to rescue a lost dog outside the Devaney Center. Nebraska women’s basketball completed a season sweep of Purdue. Greg Smith looks at Nebraska’s effort to catch up on the recruiting trail.